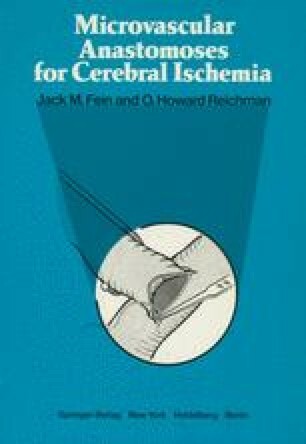 Since the description by Donaghy and Yasargil(8), and Yasargil(22) of anastomosis between the superficial temporal artery (STA) and a cortical branch of the middle cerebral artery (MCA), there has been considerable interest in this elegant surgical procedure as a method to increase collateral circulation to the brain. Postoperative arteriography in many patients has demonstrated patency of the STA bypass graft in nearly all instances,(15,16) substantiating that this is a reliable method to develop new collateral circulation. However, a recurring question concerns the capability of this small vascular channel to provide sufficient blood flow for the support of a significant volume of brain tissue. While increased regional cerebral blood flow (rCBF)(2,9,19) is the ultimate goal of additional collateral circulation to the brain, it is essential to know the potential volume of blood flow which exists for an STA bypass graft.